Healdsburg is one of those parts of the wine country where I don’t usually visit, but only because it’s a bit out of my way. 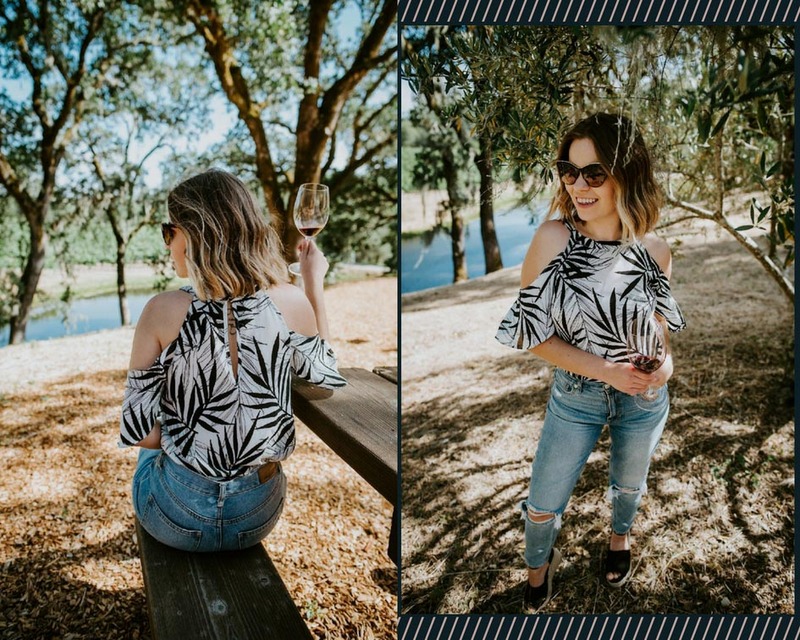 Thankfully, earlier this month I received a lovely invitation to come by Medlock Ames Winery and do their Bell Mountain Ranch tour and wine tasting, and it was just enough of an excuse for me to venture up north this time. 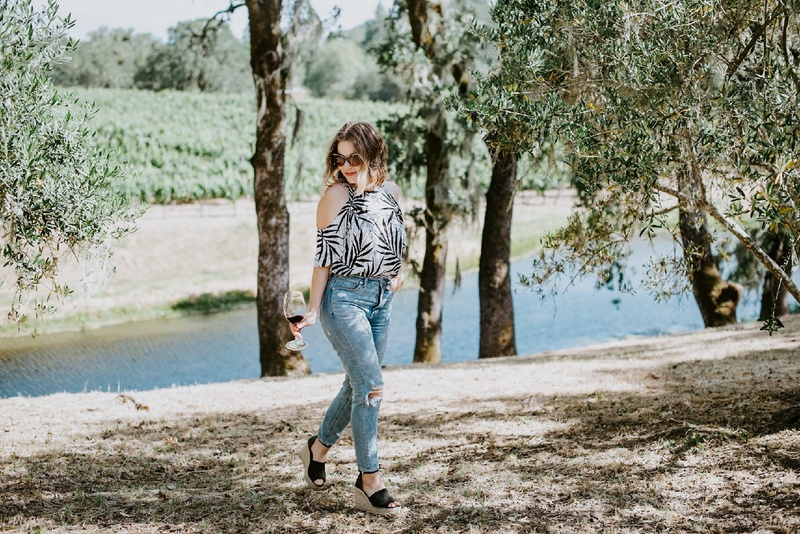 If you’ve ever been to Napa (and beyond) before, you already know that the drive up the valley (through Calistoga) is something straight out of a romantic movie. In fact, it’s been over 2 years since I moved here and I still can’t get enough of the views! Now, when it comes to Medlock Ames Winery, I feel like there’s one important thing to note first. 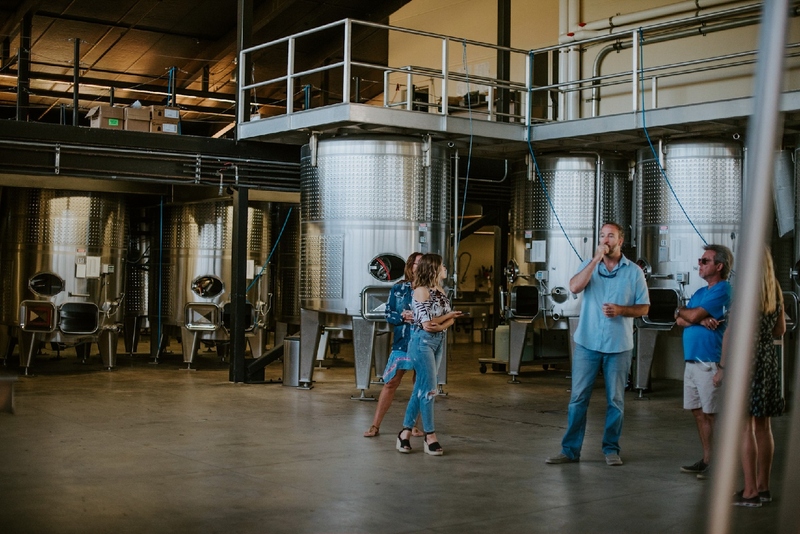 If you’re booking their Bell Mountain Ranch wine tasting experience, make sure you get the right driving directions (13414 Chalk Hill Road). 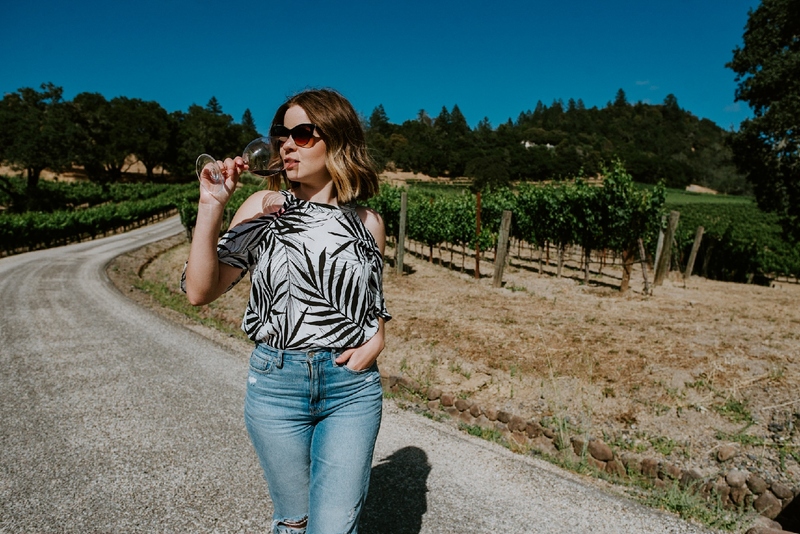 Otherwise you might end up at their Alexander Valley Tasting Room, which is about a 15-minute ride from the ranch. 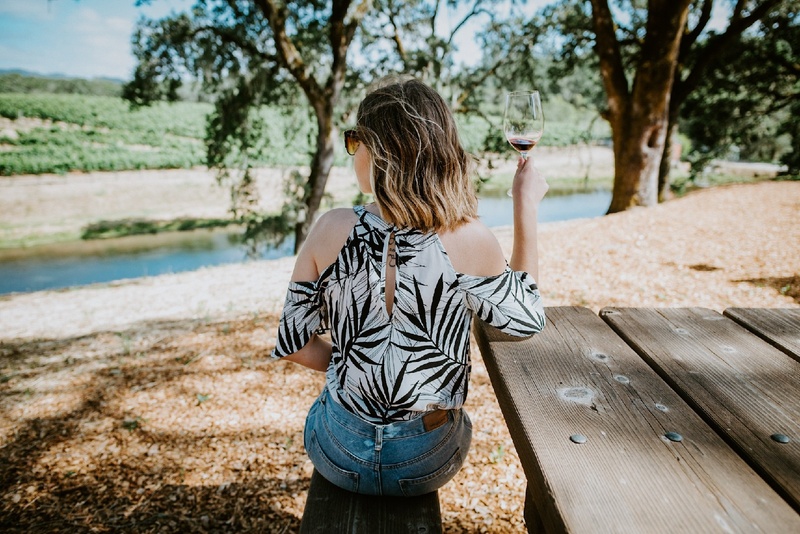 Available Monday – Friday from 12:30pm – 2pm, so you can have enough time to relax and participate in the 10:30am or 2pm Bell Mountain Ranch Tour & Tasting experience. Bring your friends and food or grab some veggies from the organic garden nearby. Another cool sighting at the Bell Mountain Ranch are olive trees! About 7 acres of them, to be exact. Yes, Medlock Ames makes its own olive oil as well! Overall, Medlock Ames owns 338 acres of land but only about 20% is used for producing wine. 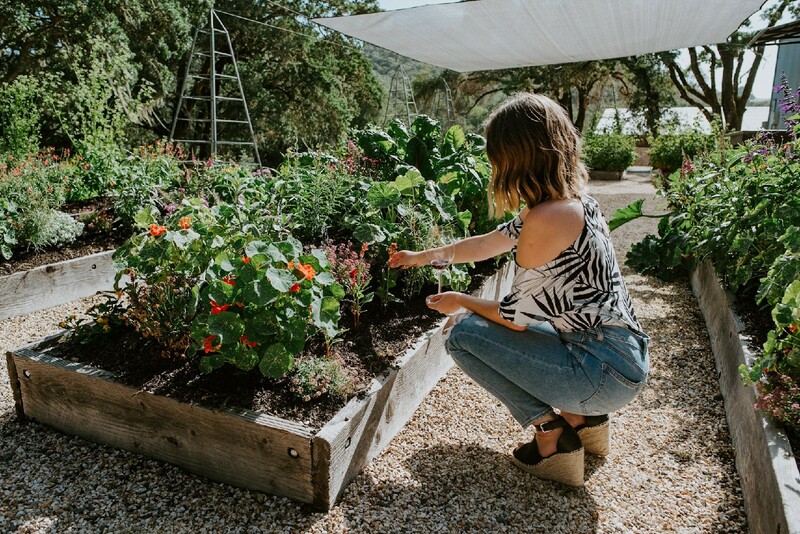 The rest is used for their organic gardens, olive trees and oranges + Meyer lemons (to make a citrus marmalade offered in a wine + food pairing experience). Medlock Ames makes only about 8 thousand cases total and it’s all produced for direct consumers. 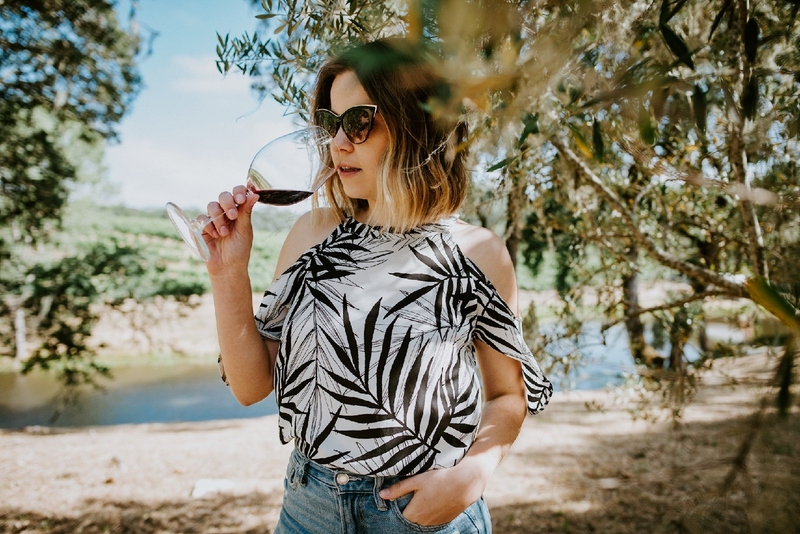 That said, if you want to enjoy their wine, your best bet is to book a tasting and purchase wine on site or sing up for the wine club for shipments. 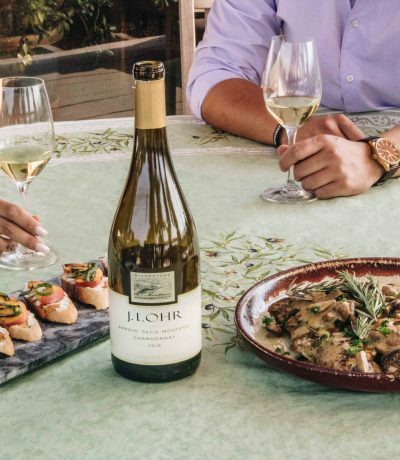 2016 Lower Slope Chardonnay – Clean/ crisp style wine paired with a goat cheese on a cracker with a citrus marmalade. So smooth! 2015 Bell Mountain Cabernet Sauvignon – Lighter body, very food-friendly (steak, pizza, pasta) paired with Mezzo Secco cheese to bring out spicy tones inside the Cabernet. 2015 Fifty Tons Cabernet Sauvignon – More complex and structured wine paired with cheddar and grape jelly and thyme (from a garden). This was such a WOW moment for our tastebuds! 2015 Kate’s and B’s Cabernet Sauvignon – Rich and complex. Highest quality Cabernet at Medlock Ames. The main thing to remember when thinking of Medlock Ames is that they’re as ecological and sustainable as possible. Taking from the land as much as possible while leaving little to no footprint behind rings absolutely true at this winery. 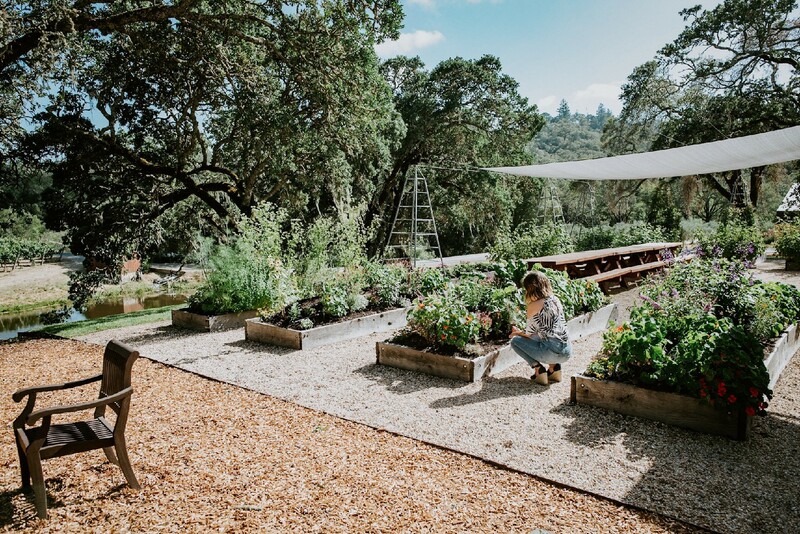 From their organically farmed vegetables, solar panels and natural irrigation systems (taking water from the ponds on the property), it’s quite impressive to experience! 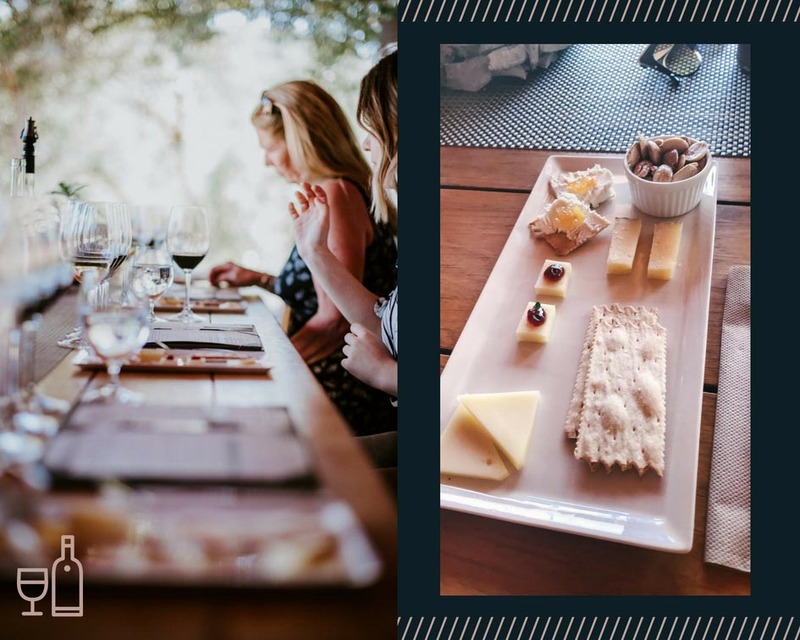 Come enjoy their naturally preserved property, organic produce, bring your friends to a picnic and don’t forget to buy their delicious wine on site. Cheers! Thank you Medlock Ames for this special experience! Going to a winery is on my must do list. 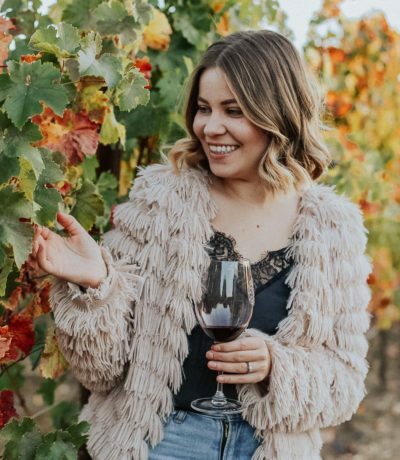 This looks like so much fun and the winery is gorgeous! This looks like so much fun! I love that top too! Wine tasting is the best! Have you ever been? This looks so fun dear! Anyway, your photos are fabulous. Loving your top! 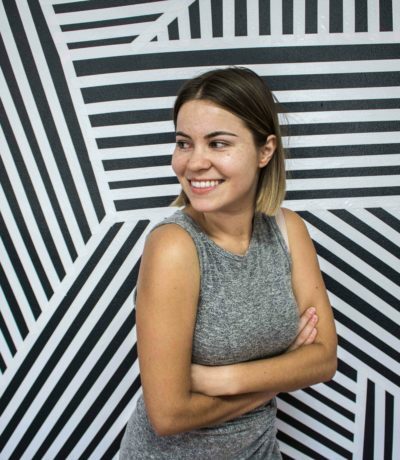 Thank you so much for stopping by and the love, Jessica! What a neat tour! It’s so cool to see a place that grows/makes such a variety of food and drinks. Thanks for showing us!